Bitcoin bubble or new virtual currency? But is this rise part of a bubble or a new paradigm for virtual currencies as their utility increases and becomes more mainstream? It seems more likely to me that the increase in Bitcoin app activity was a result of the surge in Bitcoin price that had recently taken the price to all new highs by the 17th of March, the further rally which took the price to levels above US$50 (which probably sparked even more interest) & the crash that had occurred several days earlier due to a glitch in the blocks/programming. With this number of events all occurring in unison, it’s not hard to see there were other reasons for the increase in Bitcoin activity, other than finding a safe haven currency to avoid depositor haircuts as some have speculated was the case. 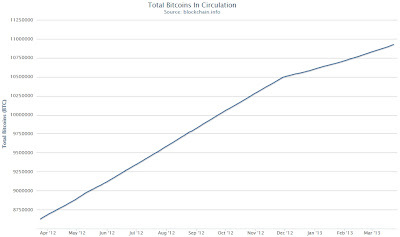 For those who are not familiar with Bitcoins, they are a virtual currency. First created in 2009, they can be transacted peer to peer and through exchanges such as the most popular Mt.Gox. Their creation is not controlled by a central authority, their supply is expanded with the use of a mathematical algorithm. 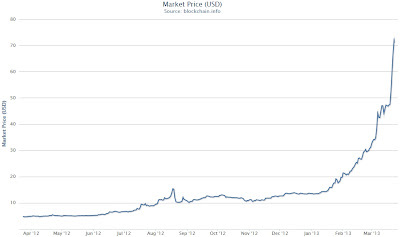 The price of a Bitcoin has risen from around US$10 to over US$70 in the space of 4 months. Some might call that a bubble with little more thought given, but scratch under the surface of the price and there could be valid reasons for the increase in price. The implications to this are huge and for the most part unknowable. There are two ways I can see it going;-– Mining is a delicate balance of difficulty vs electricity costs, the price of bitcoin depends on the electricity cost to generate those coins so if the cost to generate a bitcoin increases the price of a bitcoin rises to match. People stop mining bitcoin because the cost outweighs the return and the difficulty of generating a bitcoin (currently at 3368767) plummets until it is once again profitable to mine. 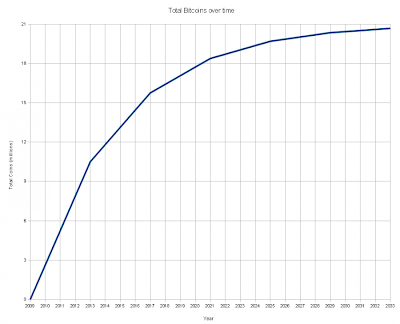 Can the halving of creation rate alone justify a 7x rise in the price of Bitcoins? Probably not by itself. In economics and business, a network effect (also called network externality or demand-side economies of scale) is the effect that one user of a good or service has on the value of that product to other people. When network effect is present, the value of a product or service is dependent on the number of others using it.The classic example is the telephone. The more people own telephones, the more valuable the telephone is to each owner. This creates a positive externality because a user may purchase a telephone without intending to create value for other users, but does so in any case. Online social networks work in the same way, with sites like Twitter, Facebook, and Google+ becoming more useful as more users join. The network effect can very much apply to currencies, especially so where the Government/central banks can’t increase the number of currency units to meet demand, so Gold has also benefited from the network effect over the bull market as an increasing number of people want to own it, but where there is no easy way to increase the amount (while Gold doesn’t have a known limit like Bitcoin, there are other reasons we can’t dig more up on a whim including declining grades available to mine). Despite the positives for Bitcoin, there are still risks which have the potential to impact on price. ASIC(s) – Application Specific Integrated Circuits are essentially specialised computer chips designed for mining Bitcoins in the most efficient way possible. To date much of the Bitcoin mining that occurs has been via powerful computers which also have a high running cost (e.g. gaming rigs with specific graphics cards which lend themselves to the process), but with these new systems comes lower entry& running costs which will result in more competition… how much effect this will have on the price of Bitcoins is yet to be seen as consumer ASICs have only started shipping early this year (read more here). They could have a dampening effect on the price in the short term (lower cost to mine), but then as they become more common the competition will force a reduction in the profits for the early adopters, driving the cost to mine higher again. The U.S. is applying money-laundering rules to “virtual currencies,” amid growing concern that new forms of cash bought on the Internet are being used to fund illicit activities.The move means that firms that issue or exchange the increasingly popular online cash will now be regulated in a similar manner as traditional money-order providers such as Western Union Co. WU +1.04% They would have new bookkeeping requirements and mandatory reporting for transactions of more than $10,000. As transacting the currency can occur peer to peer, there is little any one Government could do to stamp out use, however if the large exchanges (where currency for Bitcoin swaps take place) were targeted, there is the potential for it to have a negative effect on the ease of use and market for Bitcoins. The increase in value of Bitcoins (market capitalisation of all Bitcoins rose from just over $100m to almost $800m with the recent price rise) is likely to paint a larger target on the Bitcoin exchanges and people with a large number of Bitcoins in their virtual wallets. Who knows what sort of exchange hacks or malicious code could end up affecting the Bitcoin market in a negative way. Precious metals are a physical commodity, Bitcoins are a virtual currency. Precious metals have history spanning thousands of years as money and a store of value, Bitcoins have a few short & volatile years as a virtual currency. Precious metals have utility outside of monetary use (industrial, jewellery, etc), Bitcoins are only useful as a currency used in transactions. Precious metals are more easily purchased (at least that is the case in Australia, from my experience). Precious metals have a history of cycling in value against other assets such as oil, stocks & land, Bitcoins have no such history. Neither have a governing body/central authority that can produce them in unlimited quantities. They are both a limited resource (Gold by it’s natural occurrence in the earths crust and Bitcoins by the algorithm which controls the number created). Both will be harder and more expensive to mine over time (Gold due to decreasing grades and rising input costs, Bitcoins due to increased competition, technology advances and the reducing number created until peak 21m reached). Precious metals and Bitcoins are both seen as a threat to official currencies and are likely to see action as a result (more regulation). Zach Harvey has an ambitious plan to accelerate adoption of the Internet’s favorite alternative currency: installing in thousands of bars, restaurants, and grocery stores ATMs that will let you buy Bitcoins anonymously. My gut tells me that at US$70 Bitcoins are probably closer to a short term bubble peak (given the short term nature of the rise) than at the base of an immediate move to $150 or other high price targets I have seen thrown around ($500+), but that doesn’t mean they can’t head higher (in the short or long term).I think to a degree the price in the short term will depend a lot on who is holding Bitcoins and for what purpose. If there are a lot of speculators or people storing large amounts with no reason to transact then a move to sell and take profit could drive the price lower. If there are few of these types though and the price is being driven higher by a genuine need for Bitcoins for use in transactions then the price could keep moving higher. Personally though even if I thought Bitcoins were undervalued, after rising 700%, their risks and weaknesses would stop me from putting any significant amount of money into them, a couple of thousand dollars maybe for a punt, but nothing serious. Although they have similarities to precious metals, they are far from a replacement. Good post. Please forward to all the techies that talk utopian visions about this and other virtual currencies. Most of the “mortgages”/”credit” created (via expansion) in any bank is almost entirely “virtual”……. So you attribute “mortgages”/”credit” expansion to an “Utopian vision” of a poor old techie? No but the evangelists of this do not understand how money works, hence they make claims for it as a solution to problems they barely grasp. Money supply controlled by an algorithm? Sounds sound. What could possibly go wrong with this? Sounds like an episode of the Simpsons to me. “All hail the algorithm”. I wonder if there are any scoundrels out there thinking about creating their own alternative to bitcoin? There are already other crypto currencies, but none so popular as Bitcoin, I’m not across all the reason for Bitcoin hitting the mainstream (compared with others), but in part it’s likely due to the takeup of Bitcoin by Silk Road (an online black market selling drugs primarily). If ebay forced everyone to use bitcoin, then things would get interesting. That would result in the price sky rocketing (demand for coins increasing with same stable increase in supply), but they would have no incentive for introducing Bitcoin as in some ways it’s a competitor to PayPal (owned by ebay). If you can’t touch it you don’t own it! At least I can go to Patties Food factory and taste a pie or go to Cocacola general meeting and have some input in running of a business. If someone comes up with a better way to own part of a physical, product producing company, I would like to hear about it. IMO owning insurance or financial industry shares is more equate to owning bitcoin though. If only my computer could be resurrected to claim them!!! Do you still have it? I’d gladly commit to attempting a Lazarus on it. I have several hundred bitcoins. I speculated that there would be some demand and increasing value in these units, particularly given the underlying demand that is being generated for them through sites such as Silk Road, but like the Bullion Baron I couldn’t commit any serious investment dollars to them…. that said the $500 worth I initially bought is now approaching $20k. The legislative risk that I saw associated with this ‘currency’ was enough to stop me putting any more $ into BCs. It would suggest that much of the transactional demand for BC’s are currently being met from mining as opposed to initial BC savings flowing back into the system. The halving of the block rate has definately had an impact, but gauging the size of the BC economy isnn’t as simple as multiplying the number of BC’s that have been created by their current price… as Rhett’s statement has proven, already a large number have been lost or destroyed. Hmmn, at the current bitcoin price of $71 Australian dollars, I calculate that your entry price was $1.70 or so to produce that $500 to $20000 gain. Well if the hard drive is still intact recovering the data might still be possible. If you had less than 1 BC it may not be worth the effort, but at $80 a BC it may be another story if you have quite a few there… 3 years or so ago they were in the cents as opposed to $’s – might be worth holding onto that old box for a while longer yet. Bitcoin is not a ‘currency’, it’s merely a Ponzi scheme with some high technology components. What properties/qualities would you say Bitcoin is missing for it to be considered a currency? It resembles a bride’s nightie more than a serious currency like the US dollar. 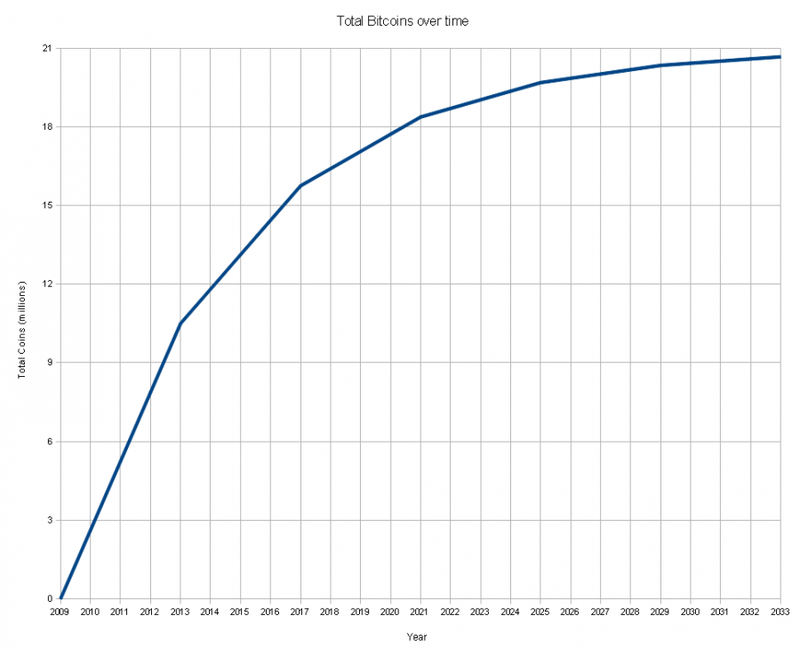 Could a bitcoin still have 5% of its purchasing power after 100 years? Bitcoins will be created at a slower rate over time and eventually reach their cap which is approximately twice the size of today, so assuming the user base continues to grow there will be no reason for the purchasing power to fall like the USD. You know someone doesn’t know what they are talking about when they label it a Ponzi scheme. Bitcoin is not an investment scheme that fraudulently pays returns to existing investors with the investments of new investors. I suggest you learn what a Ponzi scheme actually is. You claim that bitcoins “are . . . a limited resource”. But doesn’t this statement rely on the absence of Bitcoin banking. Why would the concept of credit creation not apply in the Bitcoin economy just as it does with traditional monies? If I set up a Bitcoin Bank and someone deposited a Bitcoin with me, I could lend that Bitcoin to someone else who needs it. The Bitcoin would wind its way through the Bitcoin economy (just as traditional money winds its way through the economy) and eventually come back to me (or another bank) as a deposit. One Bitcoin of value now appears twice in the economy, both as the original deposit and the new deposit. And it can be lent out again, and again. In the absence of a reserve requirement (usually imposed by governments on organisations which wish to call themselves “banks”) it is possible to generate an infinite amount of monetary value from a single Bitcoin. Given that the potential profitability of any such bank increases with the number of times it leverages its capital – and given human beings’ propensity to over-optimism – it seems inevitiable that unregulated Bitcoin bankers will eventually be tempted into over-extending themselves. If one of the borrowers then defaults, the entire system comes crashing down. We find ourselves back with an unregulated and unstable banking system. No doubt the Believers will claim that all banking failures are a result of government action, but I can see a plausible pathway to booms and busts occurring in a Bitcoin economy in which the only government involvement is the enforcement of contracts. Perhaps the Bitcoin economy will provide us with experimental evidence for this hypothesis. Fractional Reserve banking is impossible with bitcoin. I cannot loan you a bitcoin from my banks account and still keep that bitcoin in my account. The general ledger in the bitcoin economy is called the blockchain. It is distributed and publicly available. You cannot spend bitcoins you do not have, or credit credit out of thin air, as with fiat currency. I may have missed something here, but surely fractional reserve banking is just as possible with Bitcoin as it is with a gold based currency. If a depositor deposits a Bitcoin (or gold coin) into my bank, they receive from me a promise (a contract) that I will return to them on demand one Bitcoin (or gold coin). I receive a Bitcoin; they receive a promise. I then give the Bitcoin to a borrower in return for a promise (a contract) declaring that they will return the Bitcoin to me on the terms set out in their loan contract. The borrower receives the Bitcoin; I receive a promise. The borrower presumably borrowed the Bitcoin (or gold coin) with the intention of spending it. No-one borrows money just to sit on it. 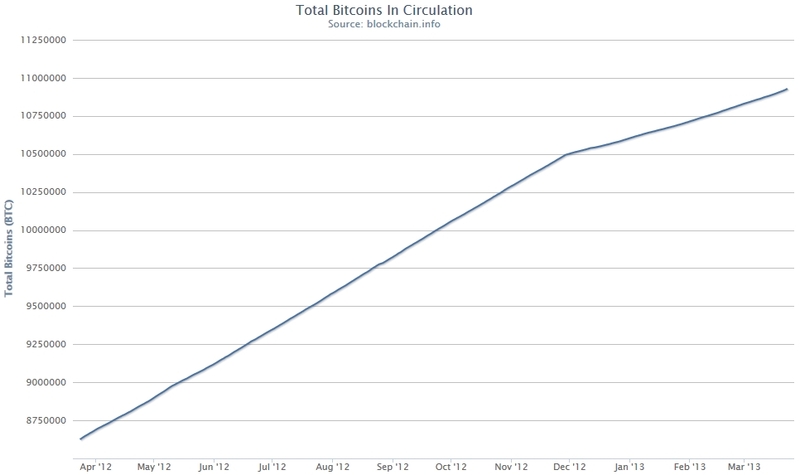 The Bitcoin (or gold coin) is spent and thus winds its way around the economy. If – before it is eventually rerepaid – its owner from time to time should decide that it would be better to have it “put to use” earning interest, they may deposit it in my bank or another bank. The bank receives the Bitcoin; the depositor receives a promise. For one Bitcoin, there are now two depository promises. Two people believe that they have one Bitcoin (or one gold coin) stored away in a bank somewhere that they can retrieve at will. The creation of credit is a proliferation of contractual promises. The only involvement of the government is in guaranteeing the performance of contracts through the legal system. Provided that depositors do not decide to redeem those promises simulataneously, the system is sustainable. If, however, confidence fails – and everyone tries to retrieve their Bitcoins (or gold coins) simultaneously – the system collapses. Agreed. The best way to view banking is that it creates a parallel currency (that being of debt contracts and promises). As long as people think they can get their coins back from it the contracts are worth what they say. In other words by trust the market pegs the two currencies together. 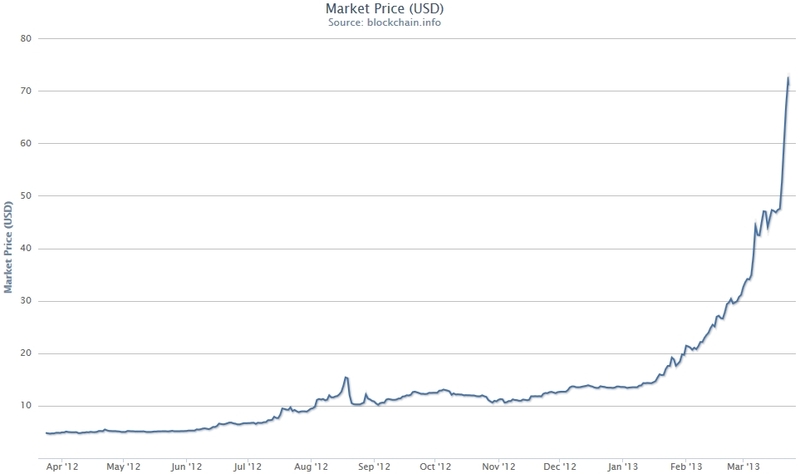 As soon as people lose faith in the “contract” currency this loses value in terms of bitcoins. We saw this in the great depression where people would sell their bank accounts at a discount (i.e bank account money depreciated in terms of USD in that instance). Why would you trust a “bitcoin bank” with your deposit when there is no authority governing them? anyway, would it be in anyone’s interests to do so? it would just devalue bitcoins (or actually create a ponzi scheme because the promise of bitcoin interests would be limited by bitcoin mining rates, so interests to old depositors would be paid from new deposits …). Sorry D9 – fractional reserve banking is just as possible with BC’s as every other ccy…. do you really think Banks are like Scrooge McDuck’s bank vault and they can only lend out $’s if they physically held them? As with normal fiat ccy, fractional reserve banking allows you to inflate the money supply by grossing up both side of the balance sheet. You deposit the BC’s, the bank owes you X BC’s and then lend X-1 BC’s to someone else, who goes and spends them in the BC economy, eventually someone else deposits X-1 BC’s, in BC Bank and the process repeats. The only difference is that with the BC economy if a BC bank were to get in trouble, there would be no reserve bank to lend BC’s or manufacture them out of the air in order to provide the liquidity to prevent a bank run. The same problem occurred with fractional gold reserve banking in Italy and the federated German states in the 15th, 16th and 17th centuries. Fractional reserve refers to the reserves the individual banks maintain, it doesn’t refer to the presence of a reserve bank. and see how easy it is! Bitcoins sent to your wallet within 4 hours after depositing cash at the branch of any major bank. That is the service I used when obtaining some Bitcoins for a transaction earlier this year (and in the process “accidentally” receive a doubling in value of them before spending). It was relatively straight forward (once I found that site), but still more steps to purchase than handing cash over the counter in direct exchange for precious metals. And having to deposit cash in a branch makes it difficult for those not near a branch (where as precious metals can easily be ordered and paid for online & posted). And did your transaction on The Silk Road go smoothly? Actually it was for something much less exciting, but I did check out Silk Road, interesting site, but very slow. Bitcoin website says: Instant peer to peer transactions; but if you read deeper, they say: Transactions are broadcast within seconds and verified within 10 to 60 minutes. That’s true, I waited many times 20 minutes. And if we add exchangers who transfer money to your account in 3-4 days… Then why we should use BTC when there is already paypal (in the sense of speed of transaction)? 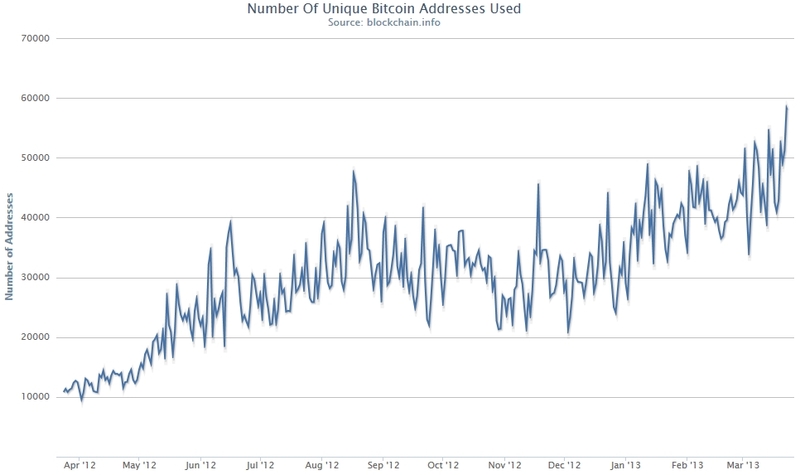 They say Bitcoin is partly anonymous, but potential users should know that MtGox demand verification of identity. 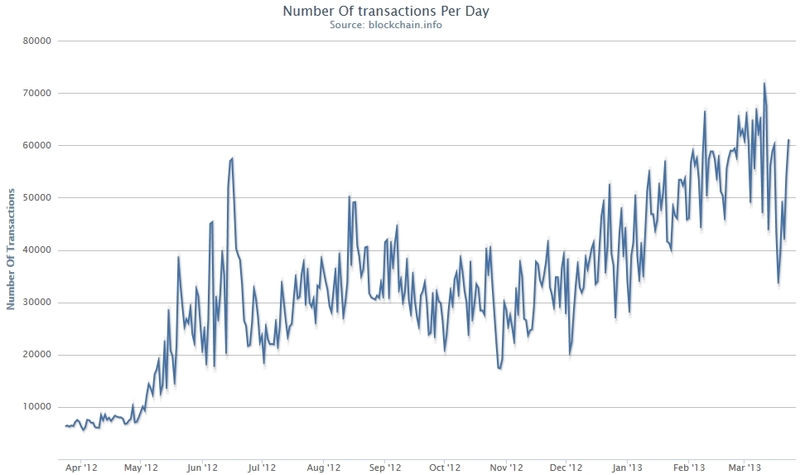 So, 80% of users of bitcoins buy and sell BTC through MtGox and they are not anonymous. They say Bitcoin operate with no central authority, I would say: yes, yes, central authority are developers and MtGox, they possess 80% of BTC market and they make fictive transactions to decide the value of bitcoin, other exchangers just follow MtGox, so, many of them have fictive buying and selling BTC just to change value of BTC. And if government wants to abolish Bitcoins, they would need just to arrest MtGox, they don’t need to confiscate any “central server”. Population don’t care if BTC is opensource or not, only programmers care about it. Salesmen need steady currency and BTC change its value every now and then, for the benefit of developers who possess millions of BTC. Salesmen hate to change prices of products every day or more times per day. 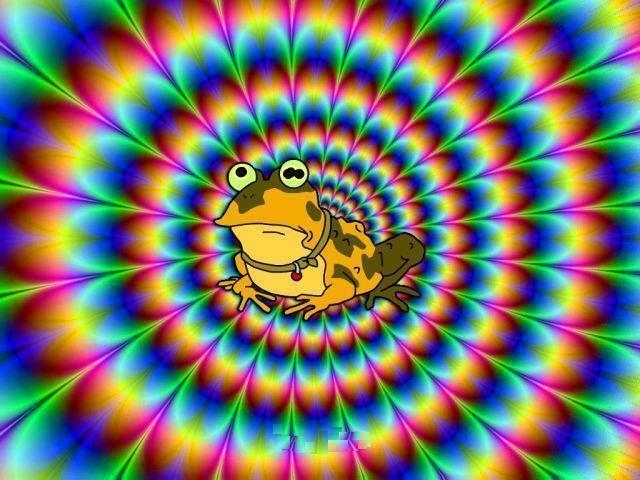 When I see people say BTC is steady currency, it is like ideology or hypnosis, they repeat the same mantra and people believe in that. Anybody can see that BTC is not steady than inflationary speculative currency. That’s good for exchangers but not for salesmen. Conclusion: MtGox can pay journalists with 1.1 million dollars investment they got, so, medias will popularize BTC one period and after that BTC will go down. Most of users of BTC are exchangers who enjoy in speculating in order to gain profit, mass of people don’t have capital to be exchanger and speculate anything, therefore Bitcoin will not be used by masses/population than only by exchangers. Beside it, American law makers are against Bitcoin and MtGox owners are not ready to do anything against the law, so, MtGox will be closed before or later and then all BTC will become worthless. Without MtGox, there is no market of BTC, they possess 80% of BTC trade. When police and judge abolish MtGox, ordinary user can bankrupt if he has all his savings in the form of Bitcoins. And Americans can impose their law even in other countries because they finance many governments, when America forbid BTC, many other countries will do the same. So, investors in Bitcoin will bankrupt, MtGox will sell every BTC they can and take cash and then close MtGox, so, ordinary users and investors (who already spent their money for marketing of bitcoin) will loose money, MtGox owners will save themselves. Good point re risk due to concentrated activity on one exchange.